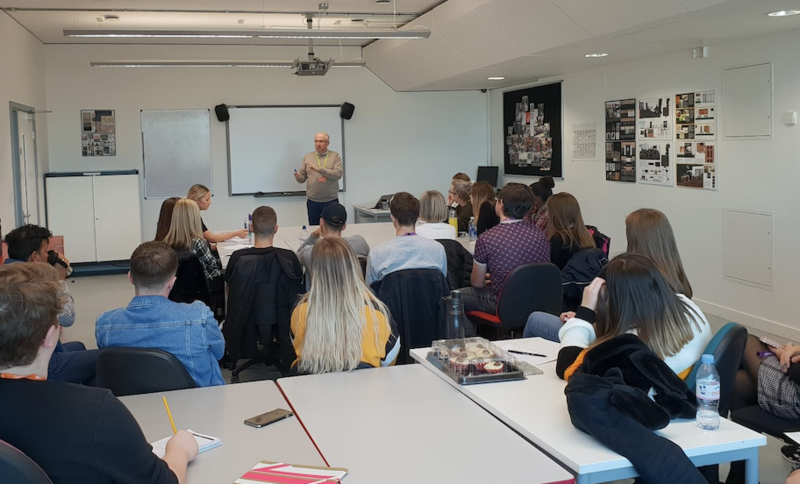 Interior Design students from South Essex College University Centre were treated to a talk from David Sanders, one of the directors at Blum. Blum is a well-known furniture fittings company, creating high-tech interior solutions especially for kitchens. David’s background is in retail psychology and he has been fundamental in coming up with innovative design solutions for businesses. He spoke with the degree year two and three students about how to communicate through design and tapping into emotions of the user. 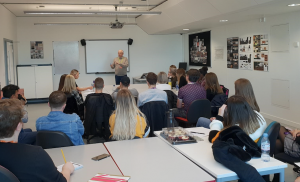 David Sanders, Director, said: “Having been involved in a design led industry for over 20 years, I realise the importance of linking the principals of good design in the classroom to the needs of the commercial world.